And here is the epic back. Truly just amazing fabric… even the great pictures my husband took don’t do it justice – it is GORGEOUS. 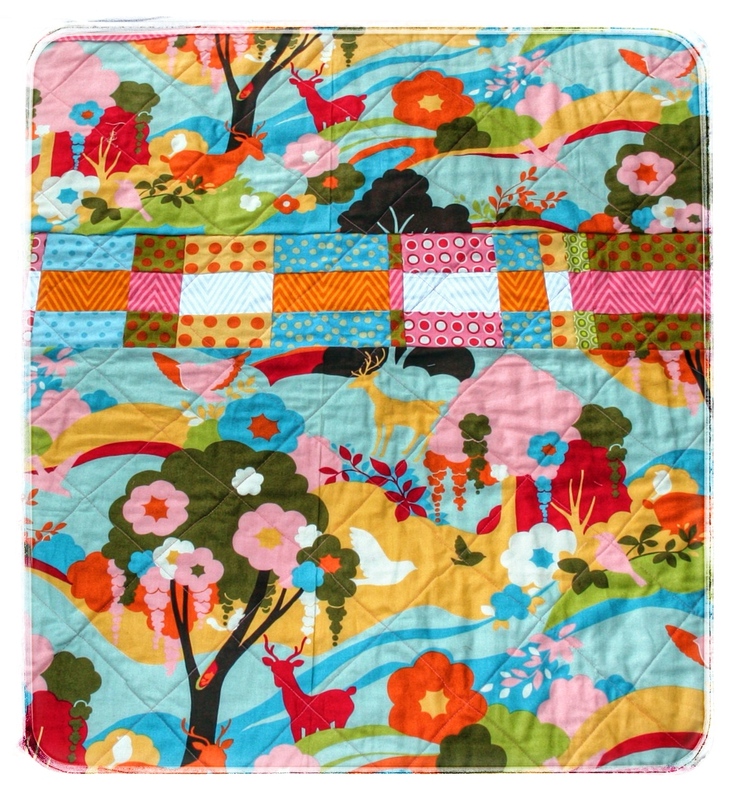 I hope a little girl and her family will love this quilt as much as me. And 1 out of 12 done for my Project Linus quilts for this year. Previous postThursday Therapy: Who Wore It Better? What a wonderful quilt! I think it is just fresh enough! That back is fab! Lovely! I am sure any child will love that. some little girl is going to be absolutely crazy about this beauty!! love it. I think it looks great! The backing is perfect. 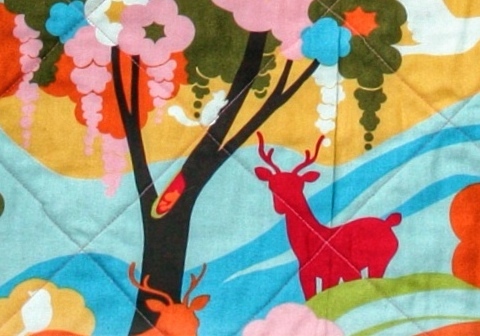 I love Oh deer!, too. I did a lap size for my parents. I did a trips around the world in the front and also did that print for the back in the cream color. 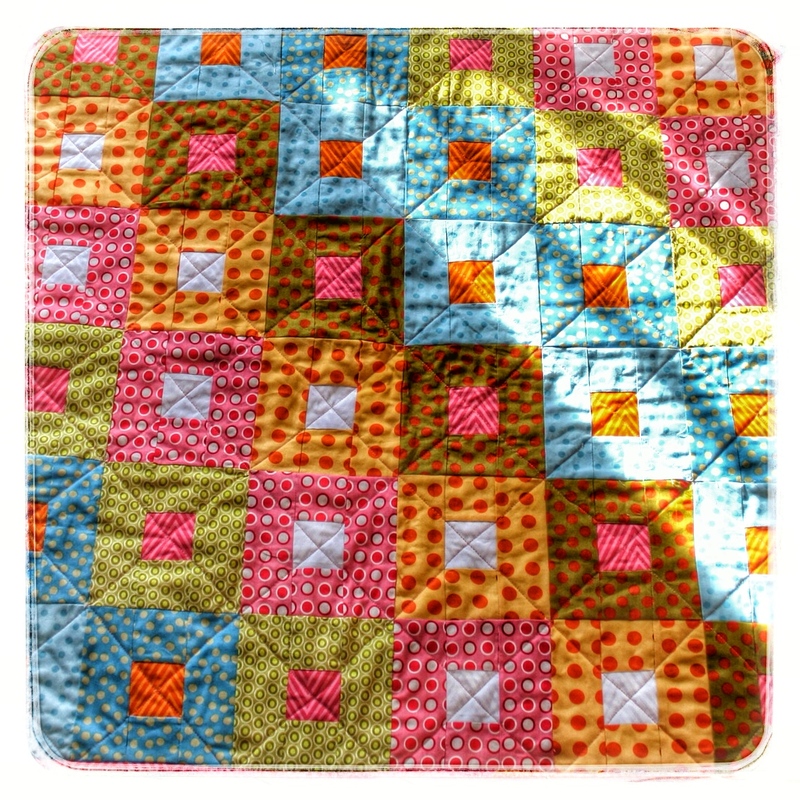 Because of the squares I did a cross hatch type quilting, too. 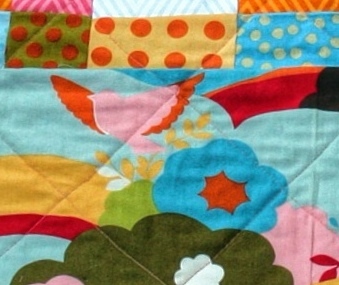 Your fabrics go so well; what a great quilt! Thanks for all the wonderful comments 🙂 Now I *really* love this quilt. Melinda – so, so wish I had been able to find some in the cream color – I bet that quilt is gorgeous.